Now the world's best selling microwave peptide synthesizer is also available in a research scale benchtop system that offers a cost-effective alternative to purchasing peptides. Enhance your laboratory's capabilities with the benefits of microwave-assisted peptide synthesis. Now, chemists who need to make peptides on a research scale can produce high purity peptides in a rapid and cost-effective manner. 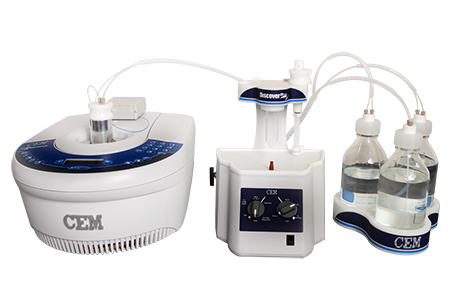 Compared to conventional methods, the Discover Bio offers chemists the unparalleled benefits of microwave-assisted peptide synthesis in a safe, compact, easy-to-use system. The Discover Bio features the same patented technology of the Discover® System, the best-selling microwave synthesis system in the world.